A dark, gripping and witty thriller in which the only thing humanity has control over is death. In a world where disease, war and crime have been eliminated, the only way to die is to be randomly killed (“gleaned”) by professional scythes. 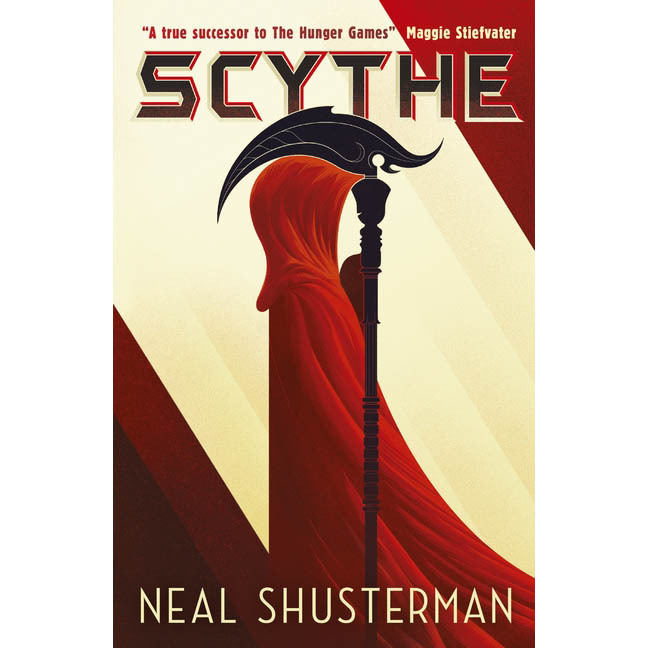 Citra and Rowan are teenagers who have been selected to be scythes’ apprentices, and despite wanting nothing to do with the vocation, they must learn the art of killing and understand the necessity of what they do. Only one of them will be chosen as a scythe’s apprentice and as Citra and Rowan come up against a terrifyingly corrupt Scythedom, it becomes clear that the winning apprentice’s first task will be to glean the loser.